Beaches can be found around all three coasts of Sutherland, with spectacular white sand and often completely deserted, even in peak holiday season. Many of these beaches are award-winning and meet European Blue flag standards. On the east coast there are the wide-open sands of Dornoch, Golspie and Embo. On the west coast are the more secluded beaches of Acmelvich and Clachtol, near Lochinver, and Oldmanshore near Kinlochbervie. An 8 km hike across open moorland gives you the reward of the isolated beach at Sandwood Bay, which comes complete with a derelict haunted cottage and views of the Old Man of Stoer. 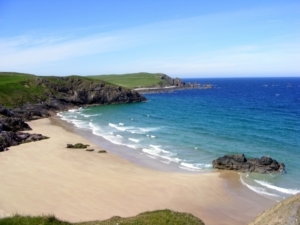 North coast beaches include: Durness, Coldbackie, Farr, Strathy, and Melvich, many of these at the right time of the year can provide good conditions for surfing. There is a huge variety of bird species in the area including waders, ducks and geese, game birds, raptors and migratory species. For an impressive day trip, go to the bird sanctuary of Handa Island reached by boat from Tarbet on the west coast. Here you will see many thousands of sea birds including: puffins, razorbills, skuas and guillemots-often at close quarters. The spectacular setting and dramatic cliff nest sites make this a full day visit, but take everything you need with you as there are no facilities (apart from a compost toilet) on the island. However we do recommend the cafe by the jetty on the mainland! Castles: There are many castles in the area.Dunrobin Castle , home of the Duke of Sutherland,is famed for its gardens, museum, and bird of prey flying displays. 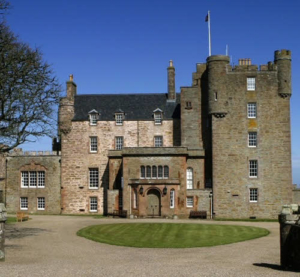 Further afield is the Castle of Mey, former home of the Queen Mother. For ruined castles try Ardvreck Castle at Loch Assynt and Castle Varrich near Tongue. Visit the world famous bone caves and underground rivers at Inchnadamph. 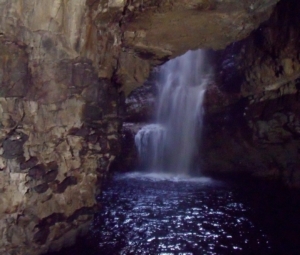 The limestone Smoo caves at Durness feature three underground caverns, and can be entered by walkway or boat. 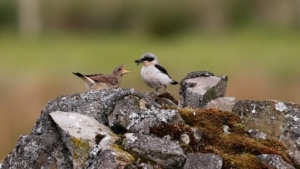 Forsinard is one of the last remaining peat bog areas in Europe, and is now a bird reserve. Visit the Corrieshalloch Gorge near Ullapool which is an incredible feat of nature at 1 mile long and 200 feet deep. The Old Man of Stoer is an impressive sea stack reached by a tricky 3 km walk from Stoer lighthouse. The quiet traffic-free roads around Sutherland make it an ideal base for touring by bicycle.Try the Cat Mountain bike trails now open in Dornoch and new trails under construction in Bonar Bridge, this area will soon become a Mecca for cyclists looking for an exciting and challenging trip. We have three distilleries close to the cottage, all producing whisky with a unique and distinctive taste: Clynelish at Brora, Glenmorangie at Tain and Balblair at Edderton . Trout fishing is available on many rivers and hill lochs, with permits normally being available from local shops and hotels. Lairg Angling Club has fishing rights on Loch Shin, and has boats available for hire. The Oykel, Cassley and Shin are famous salmon fishing rivers, with beats normally sold with accommodation alongside rivers. Sometimes day tickets are available – you need to check with local hotels.Sea fishing trips are available from Portmahomack,Ullapool, Lochinver and other west coast Fishing villages. 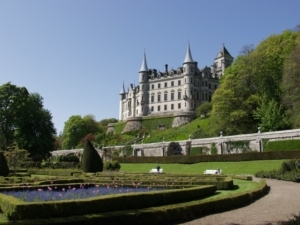 Visit the formal gardens of Dunrobin castle. Boats to Kerracher Gardens are available from Kylesku during the summer months. An hour past Corrieshalloch, you will find Inverewe Gardens, which is warmed by the Gulf stream, and grows many unusual species from around the world. There are many golf courses in the area, most of which allow guest players. There are nine-hole courses at Bonar Bridge, Ullapool and Durness, which has a spectacular 4th hole that crosses over the cliffs of a sea inlet. 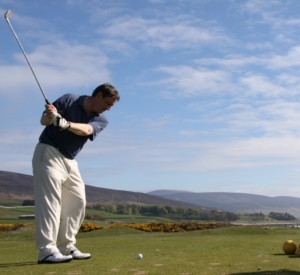 There are 18-hole courses at Tain, Golspie, Brora and the world famous Royal Dornoch championship course. Treks from 30 minutes to 2 hours as well as pub and picnic rides and long distance rides are available from Hollingwells Equestrian in Edderton. Throughout the summer months, most of the local towns and villages host Highland Games. The largest and best known is at Lochinver, and the last of the season is held at Bonar Bridge in September. All the Highland activities are covered, from dancing and bagpipe playing to tossing the caber. There is always a wide range of competitions that are open to locals and visitors alike, and along with a range of side stalls make a great fun day out. Take a look at our What’s On board at the cottage for details of local events. The Highlands is steeped in history from many generations; from brochs, standing stones, stone circles and sites of archeological interest right up to evidence of the notorious Highland clearances. Visit the clearance village at Rossal, and the famous church at Croick, where evicted tenants carved their names into the glass windows. Take a trip to the site of the famous Scottish victory over the English, at Colluden battlefield near Inverness. Inverness is the capital of the Highlands and one of the fastest growing cities in Europe. Just over an hour’s drive from the cottage, you will find everything you need including shopping centres, supermarkets, sports facilities, cinemas, theatres, nightclubs and a huge range of bars and restaurants. There is a wide range of opportunities for the more active visitor, from gentle strolls along wooded glens and riverbanks to long distance walks, Munro bagging and serious mountain climbing. Munros in the area are Ben Hope, Ben Kilbreck, and Ben More Assynt with several more to be found in the neighbouring area of Wester Ross. 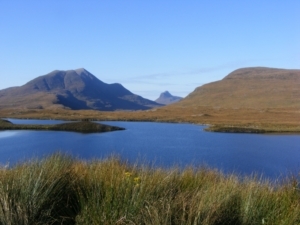 Mountains are Canisp, Cul More, Cul Beag, Ben Loyal, Foinaven Arkle, and the spectacular Suliven. For those who do not want the challenge of scaling these peaks on foot, the Cairngorm Mountain railway at Aviemore offers an effortless trip to the top of the mountains, with the chance to walk out on the slopes and admire the views. Rosehall has its own set of walking trails; as does the nearby town Lairg, Many of the areas of Forestry Commission land also have marked trails, a guide to these walks can be found at the cottage. The West Sutherland Walking Group has compiled several books of walks in the area, from 1-2 hours to all-day walks.Both these books are available to borrow at the cottage. Don’t forget that deer stalking takes place in many areas of the Highlands during the latter part of the year, and care should be taken when walking off-road. Most estates will give you information about when and where not to go walking or climbing. Apart from the other activities listed, skiing and snowboarding are available at Aviemore, when there is snow. There are many swimming pools, football pitches and tennis courts in the area, the nearest being at Lairg. Deer-stalking both for hunting and photography is available on many local sporting estates such as Glenrossal and Balnagowan and also from the Highland Shooting Centre. 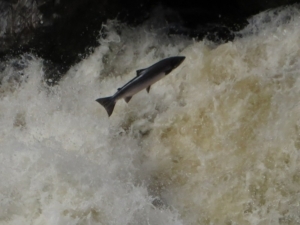 Salmon can be seen leaping at the Cassley, Falls of Shin and Glenmiuck falls. 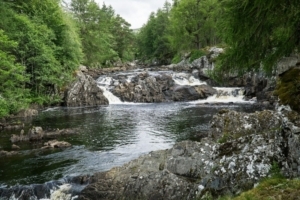 There is a marked walk to the spectacular Falls of Kirkraig. The Eas-coul-aulin falls; the highest waterfall in Britain; can be seen from a boat trip from Kylesku. The 150 feet Falls of Measach can be viewed at Corrieshalloch Gorge near Ullapool. The Highlands has a wealth of wildlife, much of which cannot be seen anywhere else in the country. The nature of the countryside, low population density and the proximity of the road network to the animals’ natural habitat means close-range sightings are very common. From Pine Martens in the woods (or our garden), Otters in lochs and coastal inlets,and Red, Sika and Roe Deer on the hills, to Dolphins and Porpoises on the coast, Scotland is a wildlife lover’s haven. There are many organizations that offer wildlife trips, from Dolphin watching trips at Avoch and Inverness, to Pine Marten feeding at Rothemurcus Estate near Aviemore. The local highland rangers often run discovery sessions, wildlife walks and wildlife watching trips, especially during school holidays. Contact local Tourist Information Centres for details. The Highland Wildlife Park at Kingussie offers a wide range of European wildlife on a drive-through safari, and the chance to get close to several species including a pack of wolves and polar bears.